Sunflower seed oil has an impressive fatty acid content, including oleic acid, carotenoids, linoleic acid, palmitic acid, lecithin, stearic acid and selenium, which can maintain the balance of human health elements. The vitamin E and tocopherols in sunflower seed oil can help to fight off the radicals, improve the skin clarity, moisturize the dry skin, thus strengthening your immune system. Sunflower seed oil has rich unsaturated fat but without any saturated fat, helping to decrease the cholesterol content, increase energy, reduce the risk of cardiovascular disease. Small sunflower seed oil refinery line is one kind of oil refining types, suitable for producing small scale oil production line like 1 tons to 20 tons per day, so also called batch sunflower seed oil refinery line. As the last step of sunflower seed oil production, refinery line is about a series of processes including degumming, neutralizing, decolorizing, deodorizing and dewaxing. 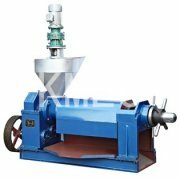 After pressing process, there will exists some impurities in the crude sunflower seed oil, which need to be removed. In this degumming section, we use the aqueous method to dissolve the impurities like gum, protein and phospholipids by washing the crude sunflower seed oil for 2-3 times with hot water. The neutralizing section is for neutralizing the free fatty acids, which is called deacidification section as well. The free fatty acid is harmful to human health, so it should be removed. The caustic soda is used in this section to saponify the free fatty acid to be soap stock, thus the small soap granule will sink and be pumped out. Due to the existing of carotene, xanthophyll etc, the color of most crude sunflower seed oil is dark. The bleaching clay has strong absorbing ability to be used for absorb the pigment in the crude sunflower seed oil, an after filtering the clay, the pigments will be removed and the color of sunflower seed oil will be brighter than before. The pure sunflower seed oil has no odor, but the crude sunflower seed oil has some smell odor. The deodorizing section aims to remove the special odor of the crude sunflower seed oil which cause by the volatile matters, like the oxide for aldehydes, ketones, hydrocarbons, so we use the steam to absorb the odor in this section and make the volatile matters remove out with the steam. After deodorizing section, the sunflower seed oil still has a little wax inside, so this dewaxing section is equipped for removing the wax inside of the crude sunflower seed oil. According to the different melting points of wax and oil, we use cooling method to separate the crystal wax, and then filter the sunflower seed oil to realize the purpose of separating the wax from the oil. 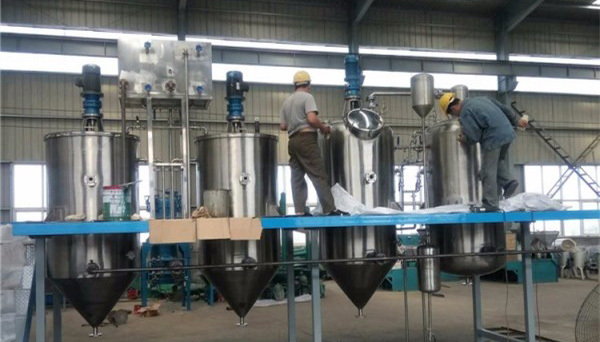 Why Choose Small Sunflower Seed Oil Refinery Line? Small sunflower seed oil refinery line is equipped with small size machines, is easy to install, operate, transport and maintain. 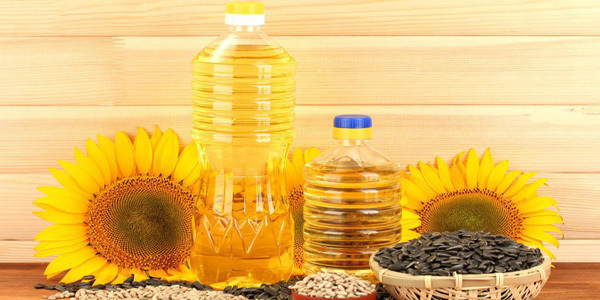 The finished sunflower seed oil, through the full refining processing from the small sunflower seed oil line, has bright color, faint scent, purity, thus suitable for cooking daily. Batch sunflower seed oil refinery line has a small production capacity, but with full functions, suitable for refining the crude sunflower seed oil in small oil production workshop, sunflower farm and small scale sunflower oil production line. 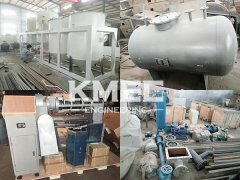 Due to the actual situation and different requirements from clients, we can customize the batch sunflower seed oil refinery line for them. 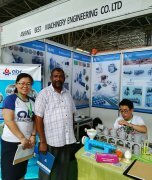 If you have nay idea about our small sunflower seed oil refinery line, please contact us for more information.